Fans of the late 90’s MTV series Daria are about to have their fashion dreams come true. 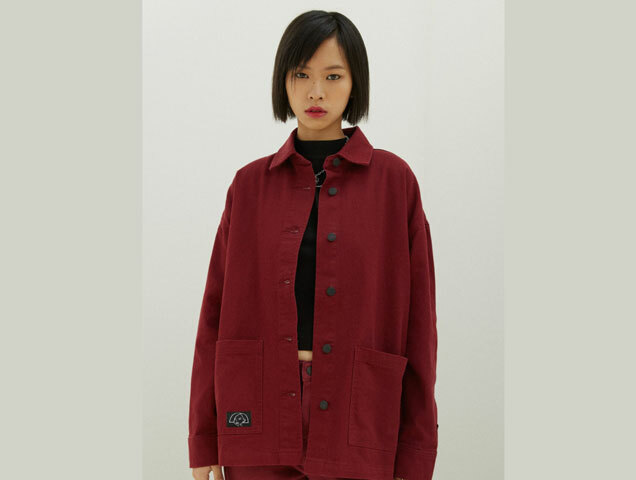 Lazy Oaf, a London-based streetwear label that designs womenswear, menswear and accessories with bold and bright colors, just launched a brand new Daria capsule collection. Lazy Oaf founder and designer Gemma Shiel is inspired by youth nostalgia, teenage rebellion and a sense of apathy towards conforming to the norm — making her the ideal collaborator for cynical high school student and feminist icon Daria Morgendorffer. Lazy Oaf x Daria is inspired by the clothes Daria, Jane Lane (Daria’s best friend) and Quinn (Daria’s younger sister) would have worn IRL. The collection is a mixture of T-shirts, jeans, denim jackets, sweaters, pins and bags. 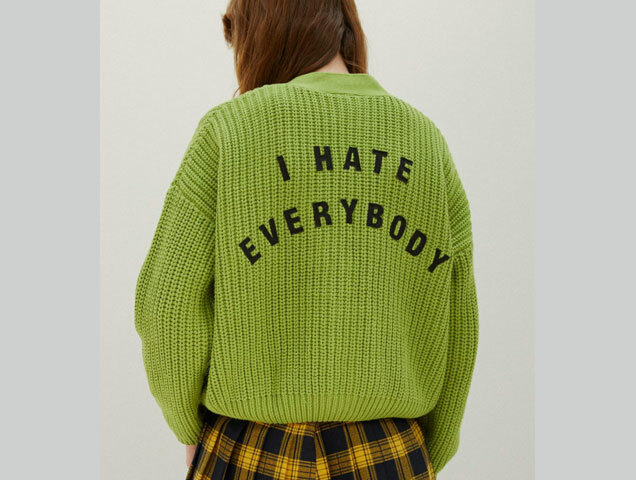 If you want to channel your inner misanthrope, the collection has a green knit sweater with “I hate everybody” stitched on the back. The artistic Jane Lane inspired a red denim jacket and pants and Quinn a pink fitted T-shirt that has a cutout and an embroidered butterfly on front. The collection is available at the Lazy Oaf store in London and lazyoaf.com.